Hearing differing versions of the apocalypse is always an interesting thing. Especially when they coincide with conspiracy theories. 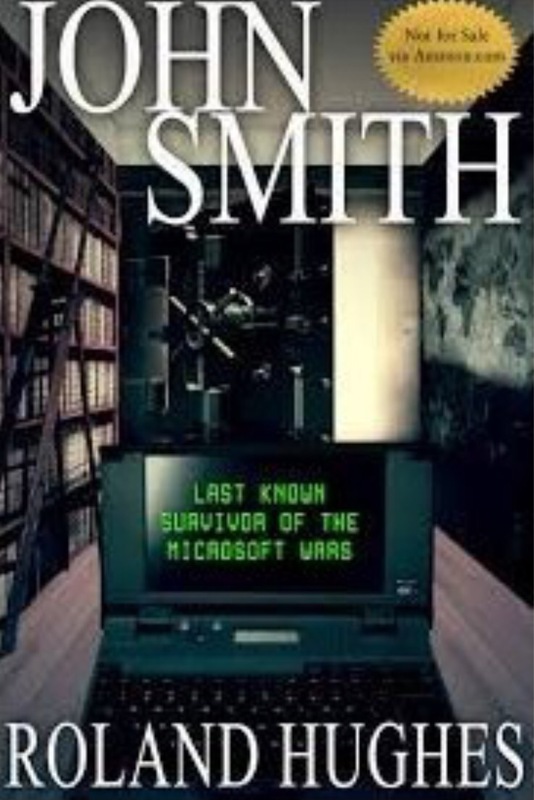 Then there are those that take conspiracy theories to the next level, and boom: we have John Smith, Last Known Survivor of the Microsoft Wars. It starts out interesting enough. It’s formatted in the way of an interview conducted by Susan Krowley. There’s a huge slew of information that follows, and it’s all over the place. It sort of follows a logical progression, but jumps around a lot. I know there were times where even though I had the knowledge, I was trying to piece together how things were related, much like Susan did. The tone is condescending, treating Susan like an ignorant child. Or someone below him. Creativity was on point with how the history of the world unfolded. The picture that the reader starts forming of the world is clear when talking about the past. Not so much when talking about what happened after the Wars. Hoping the author is saving that for later books. Giving the reader bits and pieces of the world at a time, letting the veil gradually lift on just how bad things are. Reading the creative history the author presented was nice. The theories do all tie together, regardless of how they jump around. There’s a lot of information, however, and if the reader’s not careful, they’ll miss something. Breaking up the interview format would help readibility.